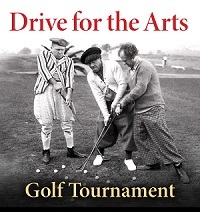 Show your support for community theater in Skagit Valley by playing a spirited round of golf or becoming a sponsor of The Fifth Annual Drive for the Arts. Full field is 25 teams of four. The format is a scramble so each player hits and the team takes the best of the four shots. All players welcome regardless of skill level. After the tournament we will hold a small live auction. Are you interested in Sponsoring a Hole? Sponsors will have a sign placed on the golf course during the tournament and recognition during the banquet. This is a great way to show your support for community theater in Skagit Valley.